Zombies, creepies and other assorted bad guys have invaded Santa's lair this christmas! Help the red guy suit up and blast those suckers away to the tune of some Xmas dubstep! Defend your base against incoming zombie hordes. Use 19 weapons including the cannon, the hunter pistol and the jackhammer to destroy your enemy and protect your base. Battle through 30 waves of zombie action with 6 unique bosses and a total of 15 upgrades each for all 8 guns. Fight zombies across 6 different stages with a total of 9 unique settings spanned across grasslands, cities, factories, and laboratories.In addition to this there are number of power ups unlocked by getting a large combo (by killing zombies quickly without losing pace). These include 2x gold, 2x power, 2x speed, and bonus gold. Trigger Down is a First Person Shooter game. You are an elite shooter and in a mission for Anti-Terror Fight. Pull the Trigger down and shoot your enemies to death. Explore different cities and enemy territories to eliminate the terror from the world. 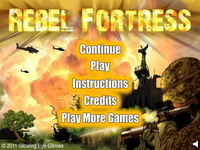 Take to the frontline against enemy soldiers in this war zone. Shoot the cops before they run you over. Gain achievements the more you play the game! Troll your way through wicked levels that will make you bonkers! The sequel to Troll Cannon is here, do you see me? Shoot your cannon and watch as you cause mayhem in the world and cause utter confusion. A fun defense and shooting game hybrid. Defeat wave after wave of enemies through strategic trap placement and fast shooting! Level up and spend points to upgrade your characters abilities. A remake of the hit game Sniper Assassin with new cutscenes, colored levels and longer gameplay. The game is also available for download on your ipod and ipod touch.